Restore don’t replace your failing septic system. 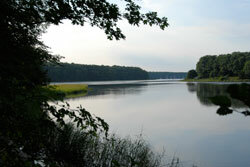 Our passion for environmental preservation stems from our location in South County, Rhode Island. Much of southern Rhode Island borders the Atlantic Ocean. A system of saltwater ponds and marshes boasts a diverse ecology of aquatic, animal, and bird species that are the envy of all who visit our shores. To protect our environmental treasures, our business is focused on the remediation of failing commercial and home septic systems. Septic Preservation RI has experience in site evaluation, design, excavation and installation. We have a network of contractors who are the best in the business. And, we work in compliance with the Rhode Island Department of Environmental Management and cities and towns. All our work is insured and guaranteed, plain and simple. New technologies eliminate hazardous waste and will keep our communities safe for generations to come. With the advent of new onsite wastewater treatment technologies like White Knight Systems, Septic Preservation RI empowers all property owners to be good stewards of our natural resources today and well into the future. Call for a free site inspection to see if White Knight Systems and Septic Preservation RI can help you restore your septic system. You will never worry about a failing septic system again. White Knight Systems add value to your property and give you peace of mind. The value of any property at the time of sale is greatly enhanced by the installation of new technologies like White Knight Systems. Consider such an installation as valuable as adding kitchen and bathroom upgrades to your home. Contact us regarding financing of your White Knight System. We have many purchasing options to assist you in this matter.